According to the Cincinnati Reds website, George Foster will tell stories about his time as a baseball player plus there will be a question and answer session and photo opportunity after dinner. Please call (513) 759-4256 to reserve tickets. 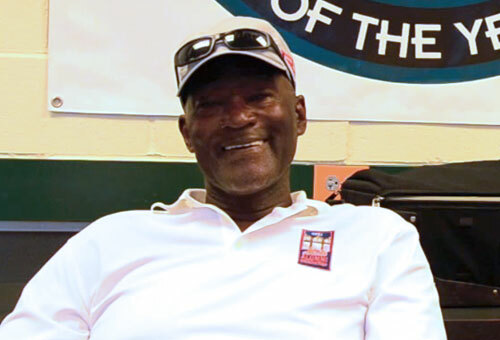 George Foster is a former MLB left fielder who played for the San Francisco Giants from 1969–1971, the Cincinnati Reds from 1971–1981, the New York Mets from 1982–1986 and the Chicago White Sox in 1986. Foster is a five-time All-Star for 1976–1979 and 1981, plus he is a two-time World Series champion for 1975, 1976 as well as National League MVP for 1977. Foster also is the Silver Slugger Award winner for 1981 plus two-time National League home run leader for 1977 and 1978 as well as three-time National League RBI’s leader for 1976–1978. George Foster was inducted into the Cincinnati Reds Hall of Fame in 2003.